Max Cacas, a Washington, D.C. based radio broadcaster for 10 years at NPR, died on Dec.8 from an apparent heart attack. He was 61. 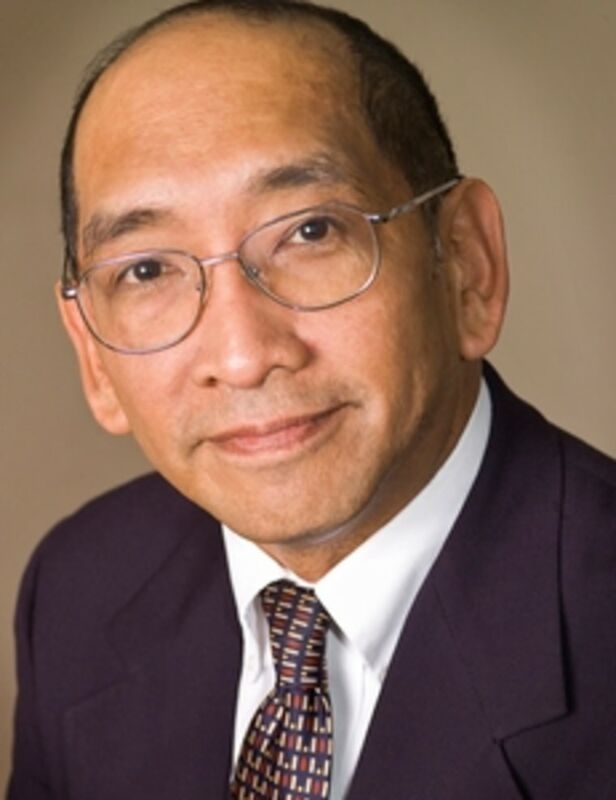 Max Cacas, a Washington, D.C. based radio broadcaster for 10 years at NPR, and one of the pioneering Filipino Americans in radio journalism, was buried in Oxon Hill, Maryland, on Sunday. He died on Dec.8 from an apparent heart attack, his wife Lisa Myers said in a Facebook post. He was 61. I first met Max when I was named one of the hosts of “All Things Considered” in 1989. When I arrived in Washington, NPR was headquartered on M St., and I expected to see the standard all-white newsroom. But then I saw Max, a news writer and producer there at the time for two years, and I was glad to see I wouldn’t be only Filipino in the room. Max and I talked about being Filipino a little bit — enough to know we weren’t white in a less than welcoming media world. But we really didn’t talk about it all that much to each other. In the media, our “Filipinoness” was obvious to us. Max and I were American born. We both "sounded" white and were unaccented. "When diversity was still a foreign word in the media, Max was among the handful of us banging away, forcing the door to open a little wider." Our common bond wasn’t our ethnicity, but rather sports. Max and I were baseball fans. He often wore an old Washington Senators ball cap, like a loyal Frank Howard fan yearning for an expansion team. Howard was to the Senators what McCovey or Mays was to my Giants. I understood his pain on the diamond. But our roles in the media, we understood silently. There weren’t too many like us at NPR, or any other place in the media and journalism. No one really had embraced the term we now call “diversity" — not quite fully. There was still a lot of resistance to open the doors wide. Both Max and I were ahead of our time. We were of a generation when Asian Americans in general, and Filipinos in particular, were encouraged to go into the "traditional" Asian-American fields that had "real" Asian Americans and Filipinos in them. There were Filipino doctors and lawyers, after all. Journalists? Media workers? It was still a short list. But Max would be one of the taller ones on it. There were times when Max and I talked, and NPR actually felt like a place I could call home. But that didn’t turn out to be the case. Max worked the overnight shift. He was also a bit of a radio nerd, a tech and gadget-type. He was a pen-protector sort of guy. We really only saw each other some mornings as he was getting off work. Or on the occasional late night, as I was leaving and he was coming in to work. Often, we’d see each other in the revolving doors, always in transit. We’d shoot each other a warm glance, smile, nod, and move on. We would always be on our way somewhere else. "There were Filipino doctors and lawyers, after all. Journalists? Media workers? It was still a short list. But Max would be one of the taller ones on it." Since my becoming the first Filipino American to host a regularly scheduled national news show, I went on to develop my career elsewhere. As for Max, after his 10 years at NPR, he worked for Public Radio International, the Newseum, WTOP Radio, and Federal News Radio. Most recently, he was host and producer for a radio program for AFCEA International, the Armed Forces Communication and Electronics Association. But I bet he really enjoyed his stint teaching. A graduate of the Columbia Graduate School of Journalism, Max also taught a new generation as an adjunct in digital journalism at the University of Maryland. That seemed appropriate. When diversity was still a foreign word in the media, Max was among the handful of us banging away, forcing the door to open a little wider. Correction: An earlier version of this article misstated Lisa Myer's name.